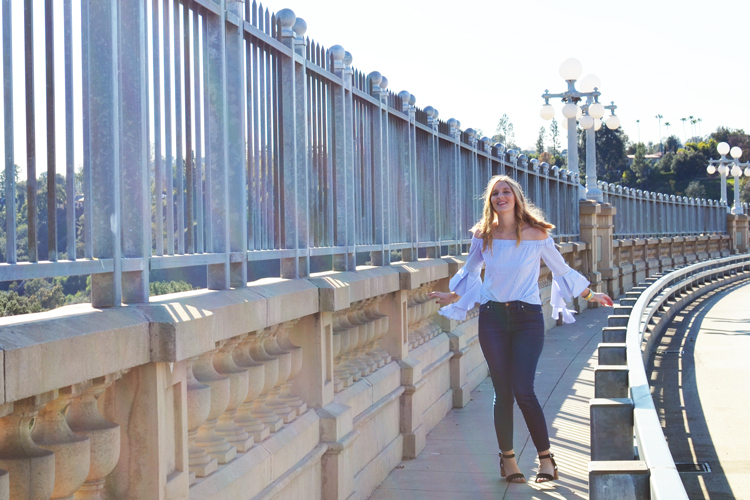 There was no Ryan Gosling to accompany me, unfortunately, but it was a beautiful day in gorgeous Pasadena, and I got to show off my new off-the-shoulder top from SheIn! You already know that I'm obsessed with off-the-shoulder tops, but this one takes it to the next level with some fun cascading sleeves. 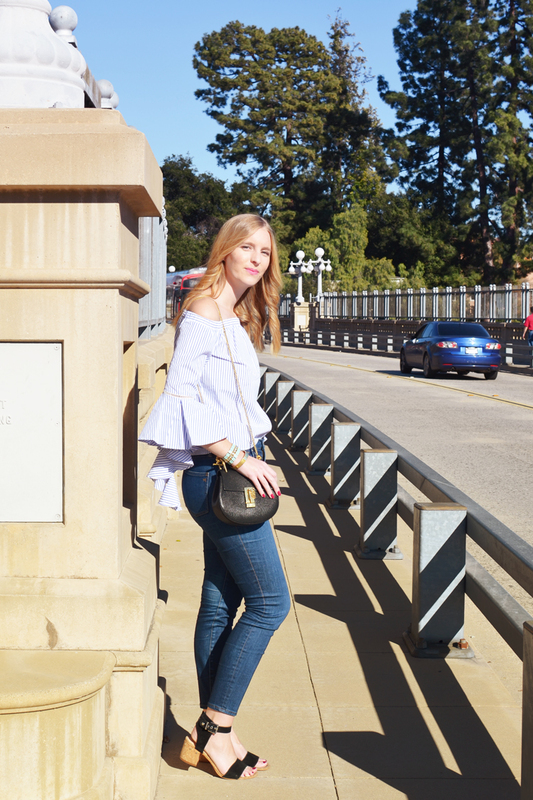 Statement sleeves are one of the year's biggest trends, and I love the way a simple sweater or shirt can be transformed with a well-placed ruffle or bell sleeve. 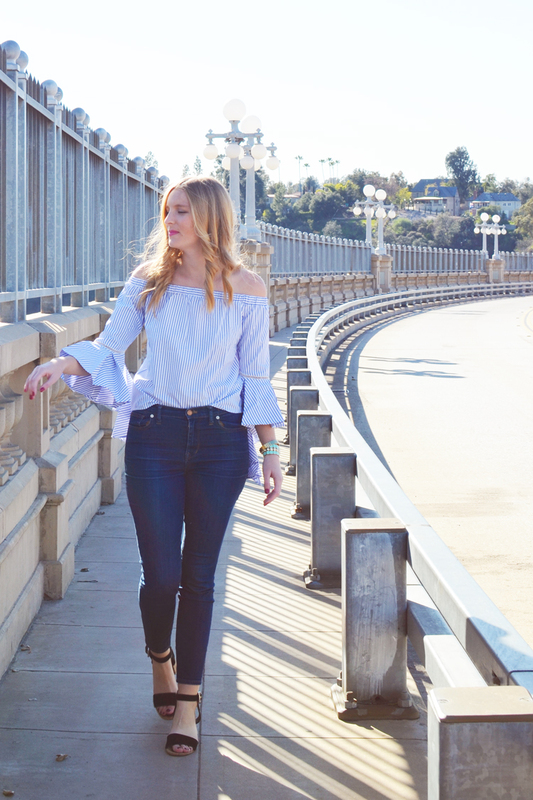 Statement sleeves pair well with skinny jeans or miniskirts; it's best to pair ruffles and volume with simple, straight-lined bottoms. 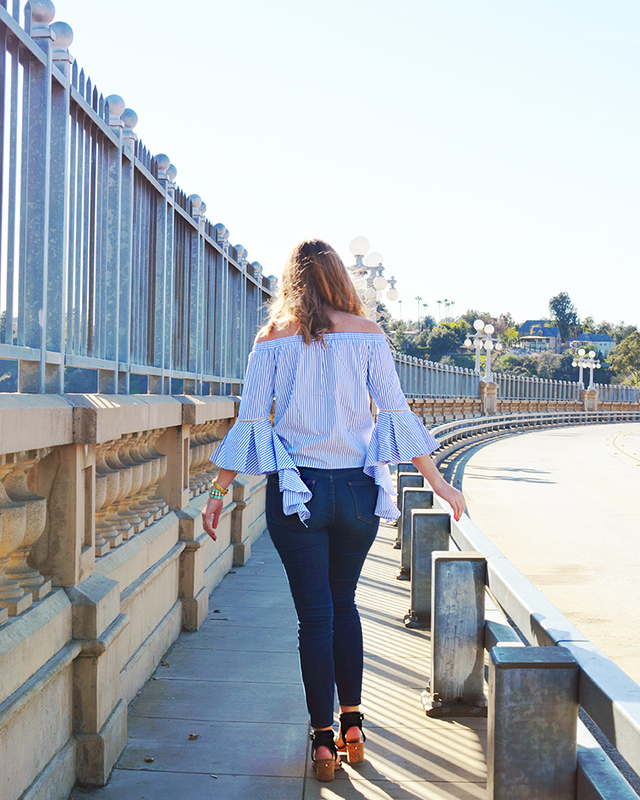 Check out the full outfit below, and then shop some of my favorite statement sleeve tops! How would you style the statement sleeve trend? 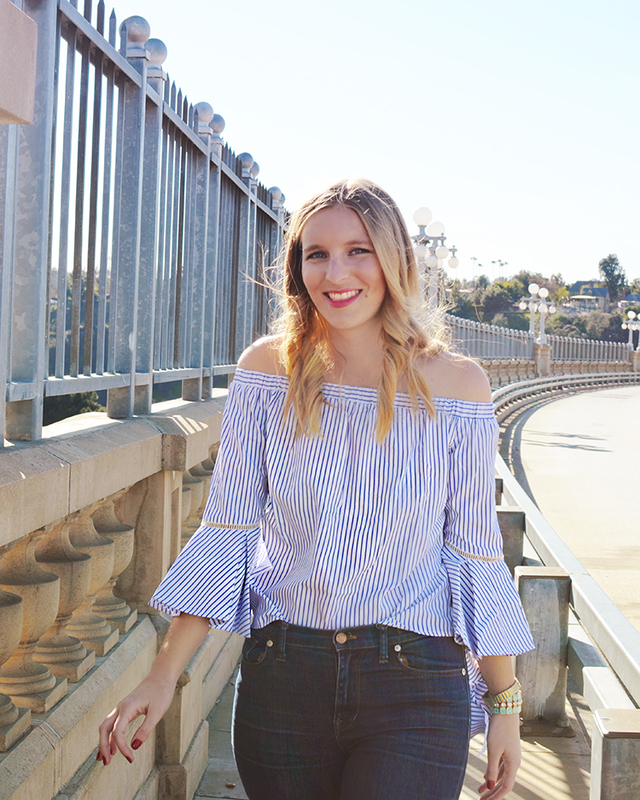 Love that OTS top with the cute sleeves! Gorgeous photos, the sleeves are so pretty. Oh I bet that is sooo fun! I have yet to see this movie, but I have heard such good things about it! I am in love with that super cute top, and I am also wishing that it was that warm here! Yes, it was so fun! 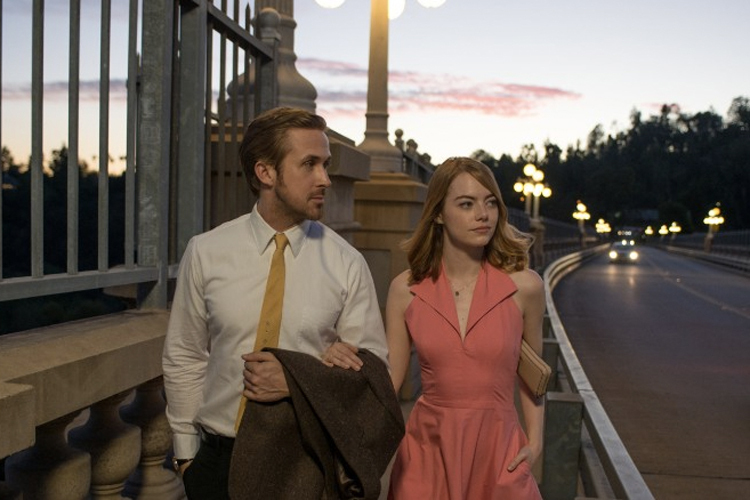 And OMG, you should definitely go see 'La La Land' when you get the chance. It's so fun and probably going to win Best Picture. Wow, you look really cute with this outfit!! Thank you so much, Mónica! 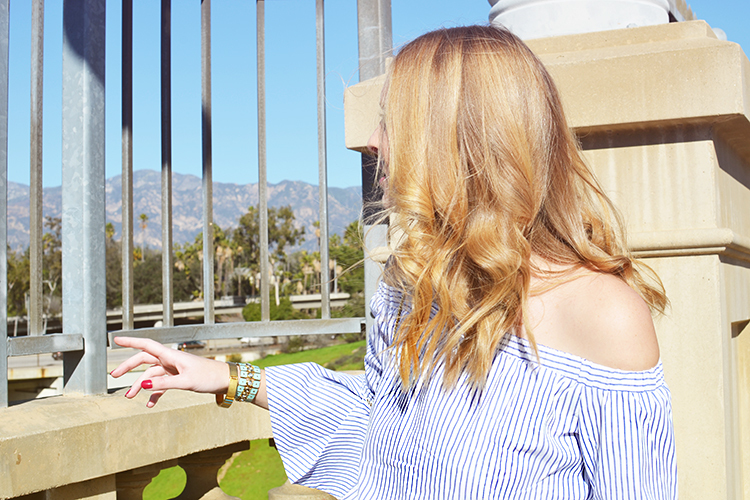 One can never go wrong with an off the shoulder top :) This striped on is perfect! Wish Chicago had that much sun!! Agreed, Jessica! Everytime I see one, I just cannot resist!